Bed bugs are usually nocturnal eaters, feeding when residents are sleeping, BUT bed bugs will adjust their schedule to the sleeping hosts habits. If the host (victim) moves to another room, bedbugs will FOLLOW them to the new room! It takes a bed bugs 5 – 10 minutes for a full blood meal. Bed Bugs spread EASILY, and have been found spreading through Library Books! Bed Bugs can LIVE for several MONTHS with OUT a blood meal. Bed Bugs are attracted to the Carbon Dioxide we breath out at night! Bed Bugs can see in the dark! 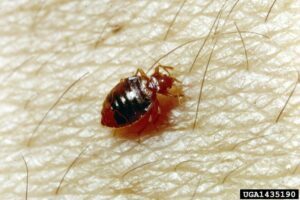 Bed bugs are small, reddish/brown, parasitic insects about the size of a tick. Bedbugs feed on human blood. Their saliva acts like an anesthetic, making bites painless. They haven’t been found to transmit diseases to humans. But, Blood loss from an average sized infestation has been found to stress the body. Bed bug BITES can get infected from scratching. Exposure to Bed Bug bites can cause an allergic reaction. Bed bugs can be brought into a home on infested furniture, or visitors. They can come from luggage or personal belongings after staying in infested lodging areas, or using public transportation. In apartment homes, townhouses, or hotels, and other connected homes bed bugs will move from one infested home into others through wiring, plumbing, and shared walls. Bed Bugs have been found spreading through Library Books! Bed Bugs can crawl up to four feet per minute! Waking up with red, itchy bug bites. Patterns of 3 bites in a row. Dark spots on walls, mattress, and places where they hide. 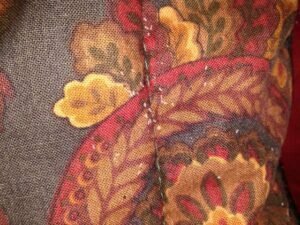 Blood spots (& Bed Bugs) on bed sheets, or mattress. A “sweetish”, or a “buggy” smell in infested rooms. Bed Bugs in Phoenix AZ areas are becoming a very common problem for landlords & renters alike. Join 1000′s of Happy Customers living Bedbug FREE in Phoenix Arizona & surrounding cities! 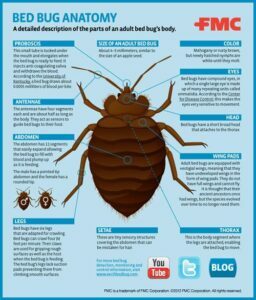 PREPARE for Bed Bug Treatment! Providing Bed Bug Pest Control in Mesa, Phoenix, Glendale, Gilbert, Scottsdale, Chandler, Queen Creek, AZ & surrounding areas.